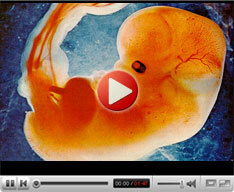 Ultrasound refers to high frequency sound waves that are inaudible to the human ear. While a standard or conventional ultrasound produces a picture in two dimensions, 3D ultrasound gives still images of the baby in three dimensions. However with technological advancement it is possible to see your baby in 4D, which typically refers to 3D images of the baby in motion, with time being the fourth dimension. 3D and 4D scans make use of special transducers and computer software that are very expensive. While there are some clear cut medical benefits such as early detection of any abnormality in the baby (for e.g. cleft lip) they are still unlikely to replace normal 2D scans. 3D scanning can also be useful to assess the heart and other internal organs. It is believed that the best time to get a 3D or 4D scan is when you are about 26 weeks and 30 weeks pregnant since before 26 weeks your baby has very little fat under the skin as a result of which the bones of the face will still be visible through the skin. The best time for these advanced scans is around 28 weeks if you want to get the best images of the baby. 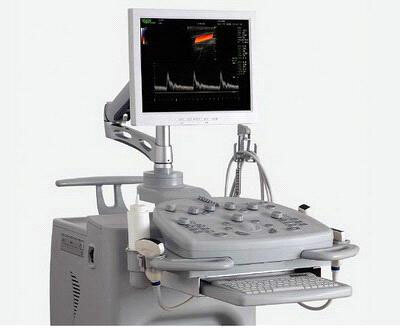 Doppler scan is an imaging technique that produces black and white or color images to visualize the blood flow through the umbilical cord between the placenta and the baby. Unlike the normal ultrasound, Doppler scan is a non-invasive procedure that uses slightly different sound waves which bounces off the moving red blood cells (RBC's) to show the speed at which the cells are moving. Doppler scan can be carried out at the same time as an ultrasound since the same equipment is used to measure the blood flow in various parts of the body such as the liver, umbilical cord, heart and brain. Different colors appear on the screen which helps your doctor understand and assess the overall health of the baby. Doppler ultrasound scans are usually performed between week 28 and delivery. Modern ultrasound equipment have the Doppler function which allows the sonographer to press a button and locate a particular blood vessel.